Premier Personal Training Center in South Tampa FL offers personal training, weight loss, golf training, & youth athlete development training. LET US HELP YOU ACHIEVE A TRUE HEALTHY & HAPPY LIFESTYLE. Are You Ready to Start on Your Fitness Goals? Lose fat? Build Muscle?We strive for 100% client satisfaction and can help you reach your own personal fitness goals today. Whatever your goals are, Tampa Strength’s premier training program will you help you achieve them. Our dynamic, intensive and most important fun programs will get you results fast and help you feel and move better. If you’re ready to achieve the results you want then call or contact us today to set up your free workout. Powered by Titleist Performance Institute (TPI), our elite golf fitness program focuses on the body/swing connection. The golf swing requires mobility, flexibility, stability, strength and power. Traditional training programs neglect the muscles needed for an efficient golf swing. Utilizing the Titleist Performance Institute’s physical screening process, we isolate any physical limitations and correlate those findings to your swing, then prescribe a custom conditioning program. The program can be done in your home or for an additional fee, with a trainer at Tampa Strength. Tampa Strength will help you develop a golf specific fitness program that enables you to take your game to the next level! As a certified trainer from TPI and the Onnit Academy, my training philosophy has been influenced by these organizations. However, working in the fitness industry for over two decades has allowed me to acquire incredible knowledge about the human body. 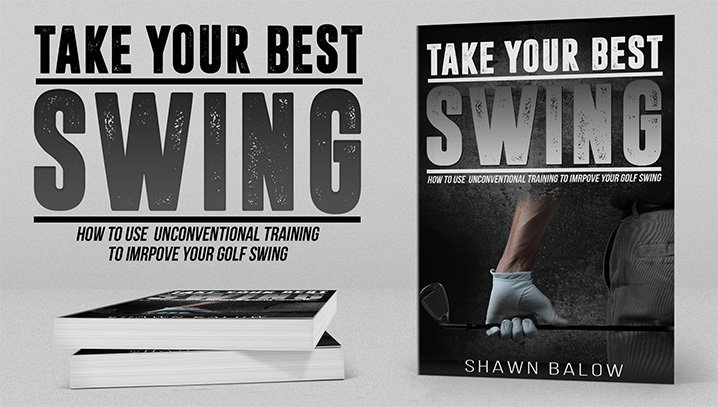 Hence, I have created a training philosophy where I incorporate unconventional training techniques and implements in order to facilitate physical fitness and help you produce the optimal golf swing. The result is a training model that is designed to facilitate an athlete’s physical improvement in terms of strength, mobility and power. Our sports performance training model is designed to improve an athlete’s ability to move while at the same time increasing speed and power. 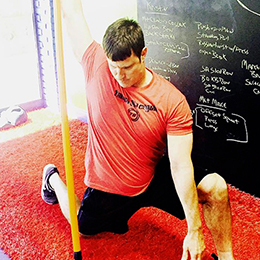 With primary focus on movement-based training, we offer an innovative, multi-dimensional approach for each athlete. Programs are designed to enhance performance by increasing power output and movement efficiency, while at the same time decreasing the risk of injury. Training with Tampa Strength will give the athlete the tools to dominate in his or her chosen sport. Whatever your fitness abilities, our certified professional trainers have solutions to help you achieve your goals. Our customized workouts are designed to help you burn calories, banish cellulite, and lose weight. No boring workouts here! By keeping it interesting and fun, you will stay on track to meet your goals. Move more efficiently and truly develop full body strength to help power your daily activities. One of our specialties is assessing muscle imbalances and structuring your workouts to deal with weak links. Using a structured resistance-training program method for improving maximal force and reactive-strength. Utilizing Titleist Performance Institute’s screening process, we can prescribe a custom conditioning program. Our programs are designed to enhance performance by increasing power output and movement efficiency. Shawn is an awesome trainer! Never a dull workout, always keeps it interesting! He really designs each workout specifically to your personal goals! Since I have started working with Shawn I have seen increased distance and consistency in my game. Anybody that is serious about taking their game to the next level should see Shawn. Without Coach Balow I would have never reached my full potential as an athlete. His positivity and hard work ethic drove me to be the best, while never losing the fun associated with sport. Are you ready to improve your athletic ability?Let's Do it! Under Coach Balow’s guidance I drastically improved my athleticism and strength. Before I started working out with him I could not even bench 100 pounds. After using his innovative training techniques, my bench press reached 315 pounds while at the same time improving my quickness and speed. No cookie cutter fitness here. Our experienced personal trainers will create a customized exercise program for you, designed to help you reach your unique health and fitness goals. Helping people achieve goals through a fun, unique and effective training system. I believe fitness is a different journey for each individual. I hope to inspire others to be physically fit and create a community for like minded people. After 20 years working in the fitness industry and coaching scholastic athletes, Shawn founded the Tampa Strength Academy. The Academy’s focus is to help people achieve their training goals through a fun, unique and extremely effective training system. Integrating sound exercises with innovative methods (steel mace, kettlebells, ropes, steel clubs) enables our program to get you results! Ready to Train? Want to know more about us? Give us a call (813) 731-2901 or drop us an email and we will get back to you as soon as we can.